But I gotta talk to you twice today! ‘Cause I’ve got more to tell ya! Click to embiggen! It RAWKS! 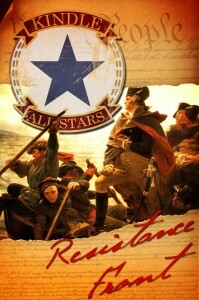 As of yesterday afternoon, Kindle All-Stars’ first publication Resistance Front is available for Kindle on Amazon. Buy Resistance Front here — this fabulous collection of more than 30 speculative fiction short stories — for only $0.99. These are great reads, y’all. There’s a tremendous amount of talent in this collection. And the best part is that none of the authors or editors are getting a cent for it: All proceeds from the anthology are being donated to the National Center for Missing and Exploited Children. So pick up your copy of Resistance Front and help the kids! 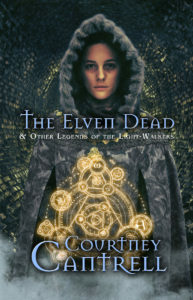 If you need a reminder what the Kindle All-Stars are all about, click here to read my blogposts. Special thanks to El Presidente Bernard J. Schaffer and La Consigliera Laurie Laliberte for their tireless efforts in making Resistance Front a reality.